If you are only looking for ready samples and templates, please scroll down but we highly recommend that you read the whole thing as there are some interesting points to be noted. 1. Why do you need a leave request? 2. How to ask for permission to leave office? 6. How to write a leave request email? 7. How to format your request? 8. Your leave is approved, what to do next? 9. What to do if your leave was rejected? What is a leave request and why do you need one? A leave request application is an official document that informs your employers and manager that you are planning to be out of the office for legitimate reasons and thus legalizes your absence. For documentation purposes. Your leave request and the corresponding replies have to be documented to preserve your rights and the rights of your employers in the event of disagreement. If anyone asks in the future why you were not in office for a particular period of time, then you can show that you have applied for leave and that it has been approved. For approval procedures. More often than not your leave request has to go through multiple layers of approval where every person involved in the process puts their seal of approval (which could be as simple as the word "approved") so that we all know who approved what. You may also need a leave request email if you are in a remote location and have no access to the company application system. How to ask for permission to leave office? Basically, there are only three ways to request for a leave. Consult with your HR department before you proceed for the possible and recommended options. You have an urgent leave and you want your supervisor to approve it fast. You want to mention or emphasize certain information that is not available through the system. Your supervisor may not have access to the system but you still need to follow the policy for compliance, so you do it twice: through the system and by mail. Send an email or letter to your manager or the HR department. If your company has no system to apply for leaves, then your only option is to request through writing. Verbal request. This option is not recommended unless you work for a really small company (ten people or fewer). Having said that, a verbal request could serve the purpose of getting a verbal approval before actually making the written request. This is good because you don’t want to you waste time by filling an application or writing a letter unless you have the assurance that your application will be approved. Sometimes the leave request itself is written just to get a preliminary approval before filling the actual leave application. You definitely don’t want to submit an application before you have some kind of assurance that your leave will be approved. This step may even be done in verbal by simply talking to your manager. Annual leave: the most common of all leaves. Every employee is entitled to a certain number of annual paid leave days that may be taken together or in chunks. 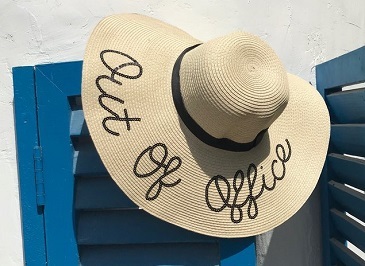 Holiday or Vacation leave: for most people, vacation leave goes under annual leave, there is no distinction between the two with rare exceptions, especially for high profile roles. Sick leave: obviously this is the leave that you avail when you are unable to attend to your duties due to illness. A clinical report may be required depending on the company policy. Unpaid leave: as the name suggests, you won’t get paid for those days. You may want to go down this route if you have already used all of your annual leave days or if you have an emergency and you don’t want to wait for the normal approval procedure. Emergency leave: also referred to as a short notice leave. Leave of Absence: a type of leave that sets the person away from their duties for a variety of reasons while maintaining their status as an employee. Education leave: a special type of leave that grants the employee the right to attend a course, seminar, or conference in order to gain further knowledge, a higher degree, or field experience. Maternity leave: given to women before and after their delivery and may extend up to one year in some countries. Maternity leaves are paid most of the time. Compensatory leave: a leave granted in compensation for excess worked hours or days. Compassionate leave: a special type of leave that is granted in the unfortunate event of death or personal crisis. If your leave is planned, then you need to consider the following matters before you even think of requesting for one. Business requirements: are you leaving in a busy period where your presence is essential? It is very important to think of the gap that your departure will create. Just because you have the right to leave doesn’t mean that you can go on a holiday whenever you want. Be reasonable with your decision and prioritize your options. If the business needs you and your vacation can be delayed, then perhaps it is better to remain at the job during this time around. Replacement: is there anyone to replace you during your absence? Make sure that there is someone to cover for you while you are not there or at least ensure that all of your tasks are completed. Notice period: have you given your manager enough time to plan for your leave? Nobody likes surprises. It very important to give your employers enough time to cope with your absence. Public Holidays: are there any public holidays coinciding with your target leave dates? If yes, then maybe a leave request is not required at all. You may be surprised how often this point is overlooked. Leave day balance: do have enough days in your balance to go for leave? If not, then your request will be rejected or you will have to take an unpaid leave. Consider these options before you apply. How to write a mail for requesting a leave? The name and position of the person who will cover for you. Supporting documents if needed, for example, “illness certificate” in case of sick leave. Writing a leave request mail or letter is not a complicated task and can be broken down into simple steps. We provide plenty of examples at the end. In the opening paragraph start with the statement, which is nothing more than your willingness to take a leave with dates clearly mentioned. Indicate the type of leave and give a valid reason if it is not an annual leave. You could say something like: “I would like to ask for your permission to take an annual leave from 15 July to 1 August” or “This letter is to inform you that I am planning to take an unpaid leave from 15 June to 1 July to prepare for my final post-graduate exam”. After the statement, reassure your manager that your duties and tasks are under control and that no work is pending. Explain to them who will cover for you while you are not available and how work will be handled in your absence (who will do what). In the last paragraph, ask your manager to grant you the permission to leave at the earliest possible opportunity because you need to do some planning. Thank them for their time and understanding. You will find many fill-in-the-blanks examples at the end so don’t worry. Your leave has been approved, what to do next? Hopefully, if you followed all of the advice above then your leave will be approved and when that happens you need to be prepared to do a few things. Send a simple email to your manager thanking them for approving your leave. Write down all the details pertaining to your job in a clear and easy to read way. This will act as a reference for whoever is taking charge of your responsibilities. The last thing you want is someone calling you during the vacation to ask about some work-related issue. 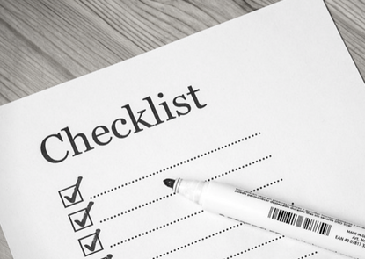 Provide a clean and comprehensive handover alongside the reference that you wrote in step one. Train your replacement or the person covering for you very well to avoid disturbing calls later. An emergency number where you can be contacted. Inform colleagues and clients that you are back. It is not recommended that you extend your leave because it portraits unprofessional behavior similar to that of arriving late to a meeting or job interview, but if you really must extend your leave, write an email giving legitimate and irrefutable reasons for doing so. We include one example further below. Handling rejection, what to do if your request was rejected? If your leave application has been rejected, which rarely happens, reach out to your manager and ask them about the reasons for the rejection. Usually, there is a good reason for rejecting your leave request, so stay calm and try to understand the problem. Address the concerns of your manager by presenting the plan that you prepared at the beginning. Explain to them that coverage has been taken care of and that there will be no discontinuity in the workflow. I would like to kindly ask for your approval to my [leave type: urgent, unpaid, annual, etc…] leave starting on [date] and ending on [date]. [If your leave requires justification, write a few sentences here to explain]. I appreciate your prompt response for my request. I would like to request for  leave days starting from [some date] due to [some reason: wedding, personal issues, death, personal reasons, etc…]. Please rest assured that all my projects and tasks are running according to schedule. [Mr. X] will cover for me during my absence and will temporally assume my duties. I appreciate your consideration and approval to my request. Thank you very much in advance. I would like to inform you that I am planning to take my annual leave from [start date] to [end date]. I have checked with my colleagues to make sure that everyone is available in that period, but further verification from your side would be optimal. I need to start preparing, so I will be really grateful if you can give me the green light at the earliest. Thank you very much in advance. I would like to kindly ask you to grant me permission to leave the office for [5 days]. I am really sorry for the very late notice, but I did not plan for this urgent and unforeseen situation. [You may want to explain the situation in a few words to validate your request]. I wouldn’t dare to make such a request hadn’t I anticipated a recipient with a tolerant character like yourself. I am confident about your good judgment and I’m sure that you will understand the situation. I have talked with my colleagues and they are more than happy to cover for me in my absence. I appreciate your consideration to my request. Thank you very much. I want to apply for annual vacation starting from [start date] till [end date] and want to ask for your approval. These dates are important to me because they coincide with [the big festival in hometown]. I have checked with my colleagues and there is no conflict in the schedules, coverage will be maintained during my absence. Looking forward to your approval for my annual leave application. I would kindly like to ask for your permission and approval for my annual leave application, which I'm planning to take from [vacation start date] till [vacation end date]. I am sorry for the short notice but [my sister waited until the last minute to announce her wedding date]. Thank you very much for your understanding. Looking forward to your positive reply.